← Will An Expanded Timetable Make Princeton Love The FreeB? Palmer remembers one day when the city’s business administrator came to him saying there wasn’t enough money to build the hotel. “He said to me ‘The numbers don’t work…the only way to do it is if the city guarantee’s the bonds.” While the new plan put the city at risk if it failed, city council supported it, Palmer said. Thirteen years later, Marriott, who ran the loss-making hotel, are bailing out. The City Council, still on the hook for the $13,000,000 of bonds issued to pay for hotel construction, seems to have no choice but to throw good money after bad and refurbish the site at a further cost of $3,000,000 to enable a sale to the Wyndham group. This kind of corporate welfare directly impacts Trenton’s citizens, because municipal resources are going towards propping up the hotel instead of helping out local people. It was never meant to be this way. Not only was the hotel supposed to be profitable, but it was intended to drive further redevelopment and business activity in downtown Trenton. Instead it has become another symbol of Trenton’s struggles. But don’t just point the finger at Trenton. Municipal officials all across the country regularly think they know how to use taxpayer’s money to reinvent towns and turn a profit. Subsidies for conference centers and sports arena projects intended to stimulate investment usually have negligible positive economic benefit. Harrisburg, PA went bankrupt after a plan to turn a municipal incinerator into a money-spinner instead turned into a money-pit. (Notoriously, Harrisburg doubled down on debt by also planning a ‘Wild West Museum’ at the same time– the ‘artifacts’ intended for the museum will be auctioned off in July.) Here in Mercer County, the Bordenton school board recently invested in a ‘self-financing’ solar panel array. Revenues have come in $200,000 per year below what was expected, with the difference now having to be made up from school district funds. The Princeton Hyatt Regency hotel managed a $19 million refurbishment without taxpayer assistance. If a hotel was really needed in Trenton, a hotel group would step in and pay for a hotel to be constructed and/or refurbished. Municipal incentives would not be necessary. 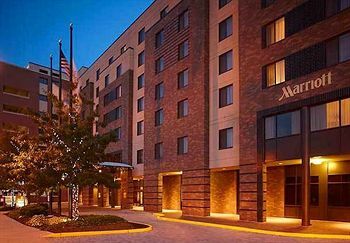 Here in the Princeton area, the Hyatt Regency Princeton, located in the Carnegie Center in West Windsor, just announced the completion of a $19 million renovation project. No need to shake down the local municipality for funds here: this was all funded based on business fundamentals. Princeton is a hotspot for jobs and tourism, and the market therefore provides hotels without needing further assistance. In Princeton, our taxes are high, making it hard for people of moderate means to live in town. The single biggest line item on the municipal budget is debt repayment, with our current budget allocating $11 million out of a total $61 million for servicing existing debt obligations. Fortunately, people really want to live, work and spend their free time in Princeton. As we can see with the Hyatt Regency’s multi-million investment in their property, businesses will go to great expense to provide a service when a market demand exists for that service. With these market forces in our favor, we can realize tax savings simply by channeling appropriate development in our town, which would contribute to our tax receipts. We would do well to stick to this kind of prudent financial management, and steer clear of grand plans that don’t have both a compelling public benefit, and a proven business model. This entry was posted in Local, Zoning. Bookmark the permalink.